An array of activities will surround you as soon as you set foot on San Francisco. Walking is the best way to discover this cheerful and vibrant city situated in California. If you are not so fond of walking, you can also count on the cable cars of this city to take you through the various parts of this city. In terms of the geographical arena, this city is quite small, only containing around 49 square km. Though, in the terms of attractions and amenities, this city offers you endless options. Even if you have very little time to spare, every moment in this city can create great memories for you. San Francisco, the city situated in the hills of Peninsula, not only offers its travelers a treat of its beautiful scenery, it also offers a great taste of culture and arts. Walking through the street of this city, you can enjoy the view of colorful Victorian Styled houses, the art workshops around the bay. While in San Francisco, you cannot miss visiting these places. Stretched over 1.7 miles, the Golden Gate Bridge is one of the most famous bridges of the world. It is even called one of the seven wonders of the modern world. 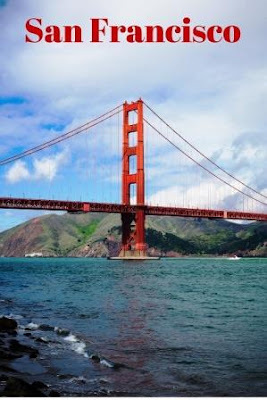 The Golden Gate Bridge is also one of the most photographed places of the world. Apart from the automobiles, there are lanes for the pedestrians and the bikes over this bridge. Situated a bit away from the main city, the Golden Gate Park is larger than the Central Park of New York City. The Dutch Windmills, beautiful boats, iconic museums and gardens of this park will keep you mesmerized. No matter what your age is, you will have something stored for you in this beautiful park. Once a much-dreaded prison, the Alcatraz is one of the prime tourist attractions of San Francisco. The Alcatraz is situated in an island bearing the same name, in the middle of the bay of San Francisco. It was known as ‘The Rock’ at one time. The notorious criminals of United States used to be imprisoned here and no one could escape from this prison. Take a ferry from Pier 33 and reach to this legendary historical site of San Francisco. Although the name suggests, this place is not a beach. It is the Italian Quarter of the city where you can find romantic cafes, shops and famous Church of Saint Peters and Paul. You can also climb to Coit Tower over Telegraph Hill to get an awesome view of the whole city. Walking though the Dragons Gate of Grant Avenue, you will reach one of the largest China Towns outside China. The colorfully decorated alleys, shops, temples, museums with take you across time. If you search, you can get ancient herbs, potions in the small shops. Also, try some authentic Chinese foods available in this area. You cannot miss a trip to Lombard Street while in this city. It is basically a stiff zigzag street with lots of flowers in sideways. One block road actually contains eight sharp turns. It is better to walk down the road and clicking some pictures rather than driving. This is basically a one-way street, you cannot drive up. The best idea is to get down at the top and walk downwards enjoying the surroundings. If you are fond of art and cultures, you cannot miss the contemporary museums of San Francisco. Apart from the world famous symphony, opera and ballet, this city holds the famous museums like Museum of Modern Art, Asian Art Museum etc. The city also has California Academy of Sciences, containing an aquarium, a planetarium, a history museum and an artificial rainforest under one roof. 1. Don’t miss a ride through the city in a cable car. 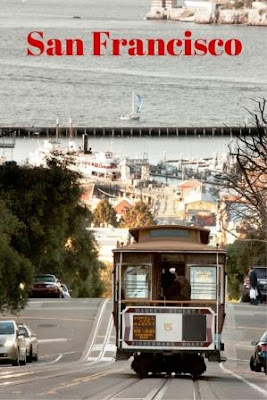 The best way to discover San Francisco is by foot and in these cable cars. 2. Do take a trip to the fisherman’s wharf to have an amazing experience of waterfront marketplace. 3. If you cannot return from your travel without shopping, Union Square of San Francisco is your place to shop till you drop. 4. You can try the iconic ‘49 mile’ drive around the San Francisco city to know it better. 5. San Francisco is also a city of world-class cuisines. From Mexican to Spanish, Italian to Indian, you can choose any famous cuisine while in this city. So, do not return home without tasting some of them. Featured in many movies of Hollywood, San Francisco is quite the city which can surprise you in every turn. So put on your walking shoes and take a ride of this amazing city which can be smaller by size but not short of amazing experiences. If you think one of the destinations didn’t make up to the list, then comment below on your favorite destination, food, sport or idea of fun or travel that you experienced while at San Francisco.